Is your current IT infrastructure resilient? Do you have high availability of hardware and datacenters? Does it provide you with uninterrupted service? At ONIT Technology Solutions, we know how to help you create the resilient cloud-based infrastructure you need. 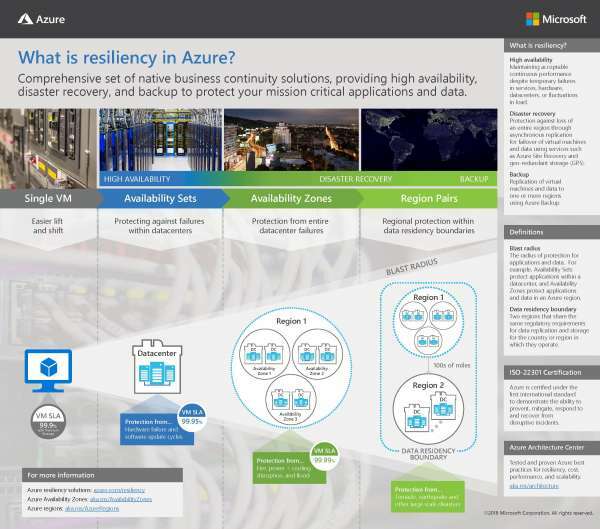 View: What is resiliency in Azure?